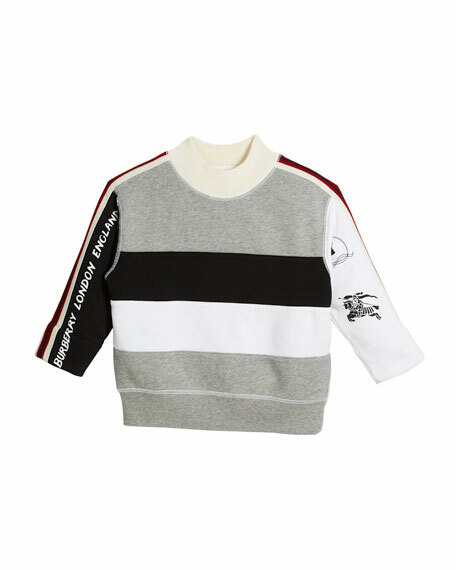 Burberry "Henrick" colorblock paneled sweatshirt. 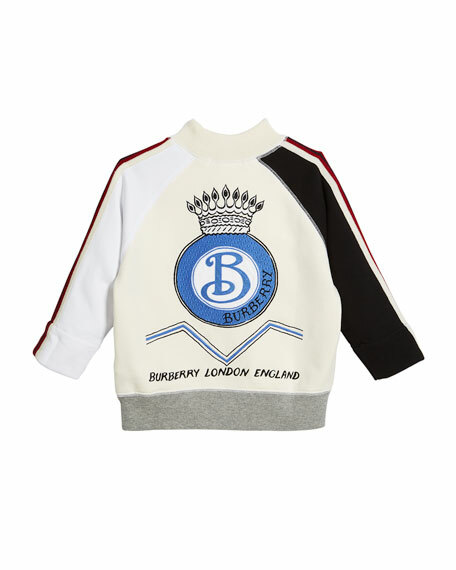 Large logo crest embroidery at back. Logo print details at sleeves. Long sleeves with striped knit trim. Panel 1 and collar: wool/nylon/spandex. For in-store inquiries, use sku #2519220.